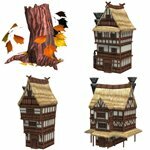 Bring your cartoon world to life with this set of models. 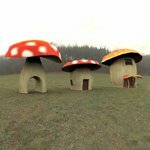 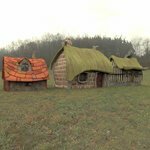 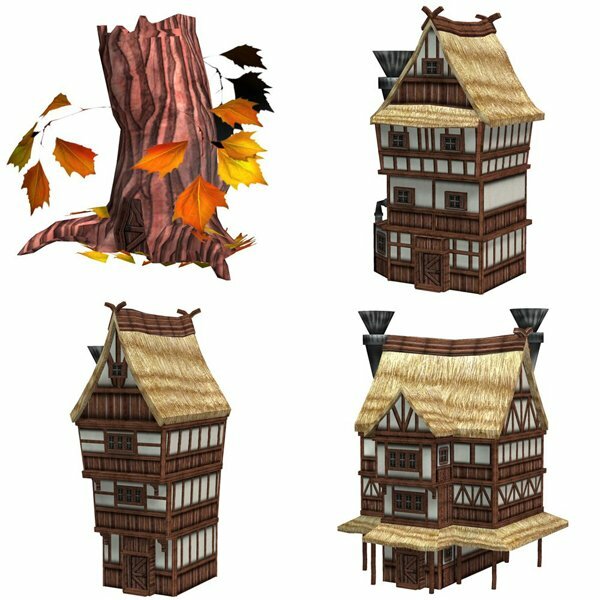 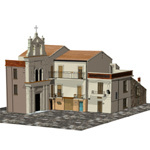 Mix and match medieval houses or a castle or a church or treehouses or even fences and trees. 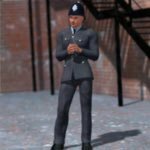 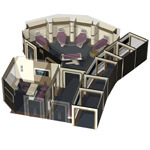 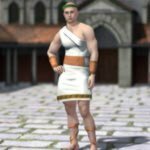 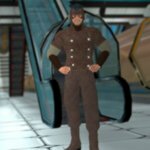 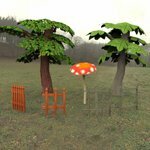 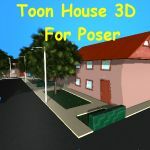 All of the models are scaled to the size of the Poser people, but feel free to adjust them to the needs of your scene. 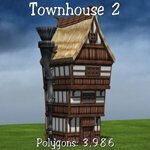 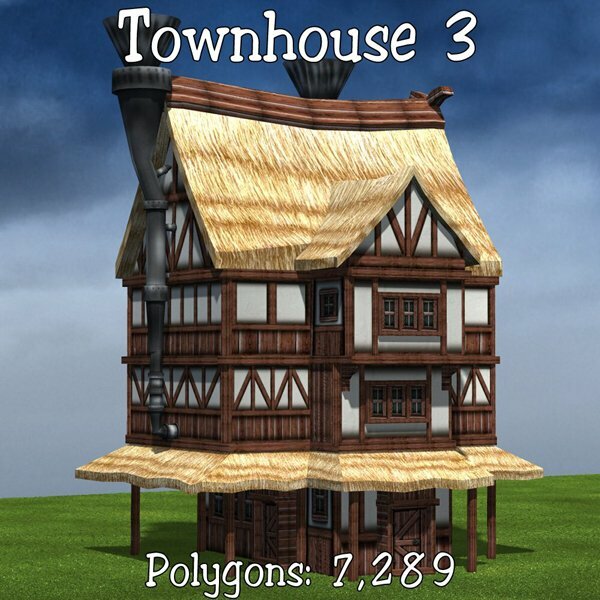 Townhouse 1, at 3,905 polygons. the exterior smokestack-pipe can be hidden or shown. 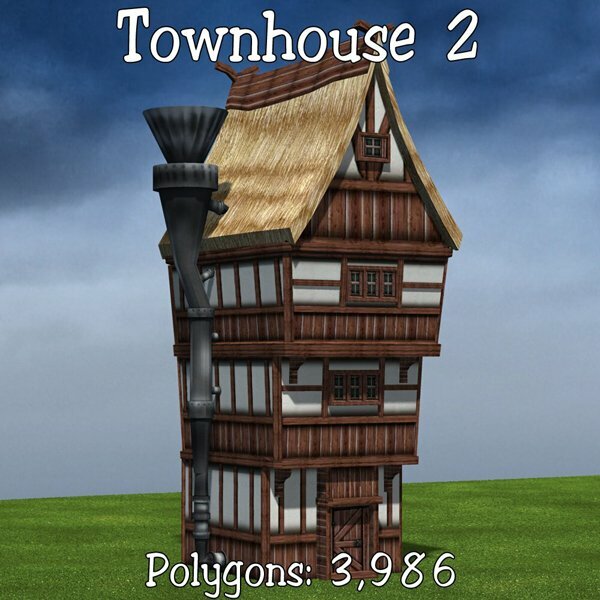 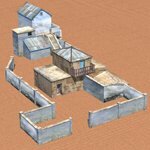 Townhouse 2, at 3,986 polygons; no moving parts and no interior. 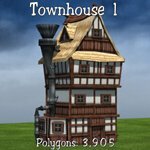 The exterior smokestack-pipe can be hidden or shown. 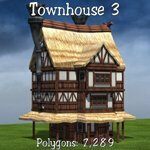 Townhouse 3, at 7,289 polygons; no moving parts and no interior. 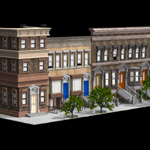 The two exterior smokestack-pipes can be hidden or shown. 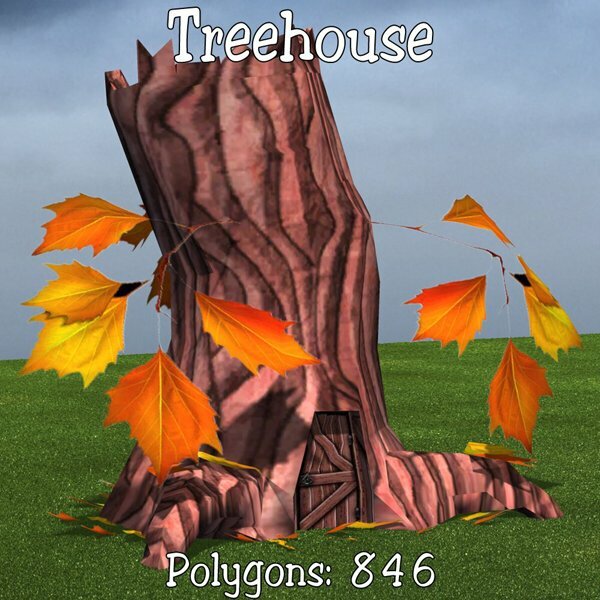 Treehouse, at 846 polygons. 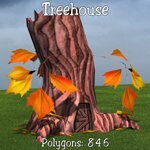 The three leaves can be hidden or shown. 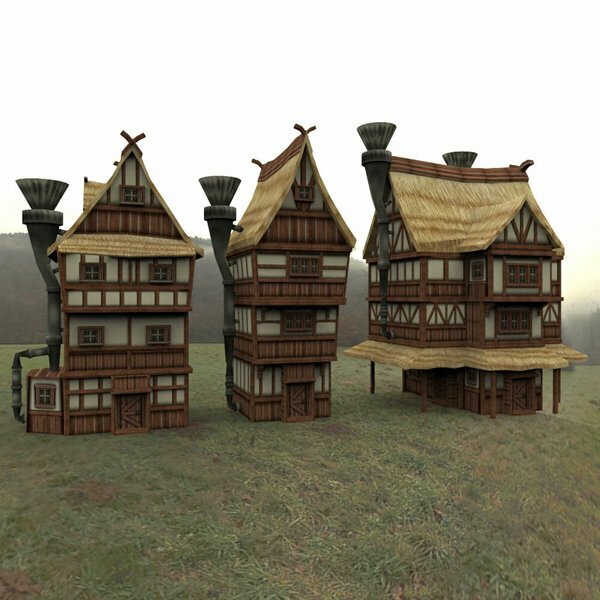 • One set of texture maps, at 2048x2048 and 1024x1024 pixels.